I have always enjoyed baking, especially when I am able to bake with my family. I loved teaching my sons, Eric and Brian, how to bake when they were young. Brian especially took an interest and before long, he wanted to try his hand at baking solo. My friend Barbara was coming over for dinner one evening and he wanted to make a cake to celebrate the occasion. I helped him select a recipe and then left him to his own devices. When it was time for dessert that evening, Brian returned from the kitchen and emerged with his masterpiece. As he set the cake down on the table, Barbara and I exchanged knowing looks. Something was not quite right about this cake. I knew from the recipe that the cake was supposed to be about five inches thick, yet Brian’s cake was only about one-and-a-half inches thick. We cut ourselves small, cautious slices and our first bite of the cake confirmed my suspicions. As I attempted to chew what tasted like chocolate-flavored rubber, I asked Brian how the baking went. He exclaimed, “Do you know how hard it is to pour Coke from a 3-liter bottle into a teaspoon?” Barbara and I immediately burst into laughter when we realized his mistake. No wonder the cake was so chewy. He read the recipe’s instructions for two teaspoons of “soda” as a soft drink instead of baking soda! Since his first baking endeavor, Brian has come a long way. He is the editor-in-chief of Bake From Scratch and loves to bake in his spare time (he calls himself a weekend baker). He has improved his skills from simple cakes to complex pastries and I will now eat anything he bakes without hesitation. And most importantly, he has learned the difference between baking soda and soft drinks! 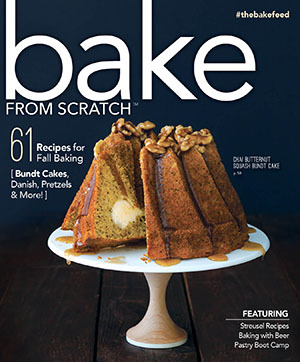 Now through August 31, subscribe to Bake From Scratch magazine and get a FREE copy of the magazine’s special edition, The Bread Collection. Have you or your children ever had a humorous baking mishap? I am in my seventies, but I still recall how my Mother, born in the early 1900s, lovingly yet determinedly decided to teach us her high moral values, with equally firm standards of cooking, even if this meant if even I possibly burnt the house down! Somehow calamities seemed to naturally occur no matter how hard I tried… Mother taught us how to cook with basic instructions, and eventually I was allowed to make a cake all by myself. With great pride I made certain all the ingredients were correctly mixed, put the cake into the oven, cleaned up the kitchen, told Mother, and then went to play. I was hanging upside down from a tree branch by one foot when the front door opened with an explosive wham as smoke bellowed out along with Mother and my sister!! Once they had quit gasping, and the smoke cleared, Mother, with a very odd look in her eyes, asked me where I had put the cake! I cautiously replied, “I put it in the oven just as you said.” She sternly said, “Show me, where you put the cake! !” I opened up the broiler where burned charcoal black pans still smoldered!! Mother’s hair became a little grayer after that, and to this day, my family laughs about my first cake!! What good memories to laugh about. I, too, had a cooking goof. Home from school , sick, maybe 12 yrs. old, I had a miraculous 3:00 recovery & decided to make some fudge. Reading the recipe on the dark brown cocoa box, I misread 1/8th. tsp. salt & thought they must mean 8 tsps. salt (the label was a little smudged) so I added that amount. The fudge was perfect–except it was so salty it made your mouth pucker up. Everybody laughed & tried to eat it anyway but just couldn’t. This was my bedtime story as I didn’t get to read it earlier but needless to say, I’m smiling. I’m also remembering when I made a blackberry pie in one of those small children’s pans when I was about 5 years old. My Mother, bless her, made each of my older brothers eat one small piece while telling them quietly that they must eat it because she wanted me to like to cook. When I tasted my piece I understood their reluctance….I had used salt instead of sugar so it was hardly edible. I did finally learn how to make a good pie and both my children enjoy cooking…..a boy and a girl now in their fifties. When I was about 9, my mother was in the middle of trying to bake a cake and handle my 2 year old sister at the same time. Apparently my sister needed more attention than the cake, so my mother asked me to add 1 cup of water to the mix while she left to attend to my sister. However, she forgot to mention that the measuring cup was a 2 cup measuring cup, and I didn’t bother to look, so continued to fill up the cup to the brim and dumped it into the cake mix. Needless to say we did not have cake for dessert that night! When my daughter turned 11 years old she wanted the children’s edition of Better Hones and Gardens cookbook. When she received it I told her she could cook whatever she wanted to as long as she cleaned up behind herself. She would try out her cooking skills after school and when I got home from work sometimes there would be a nice little treat for me but sometimes I would smell what she had tried out but there was none to be found. I said nothing because I learned that was when her efforts had not been satisfactory. She is today a wonderful cook. Many years ago, my friend taught third grade at one of our local schools. One of the girls from our church was in her class & the mother & my friend have the same birthdate. The morning of their shared birthday the girl said, ” My mom is bringing a cake this afternoon and she made it from “scraps!”! She misheard “scratch”. On Sunday, I mentioned it to her mom & we had a good laugh! I remember my first baking attempt quite well. I was determined to make a Pecan Pie. I could not have been more than about 12-13. 12or 13 in the 60’s was nothing like it is today! Anyway, the recipe called for molasses. I found some “black strap molasses” in the kitchen cabinet and used that. Needless to say the pie tasted like what one can only imagine was father’s asphalt. Being the wonderful father that he was he ate it anyway. It was many years after that before I made another Pecan Pie!!! The first time my daughter made our family dinner as a surprise she made ‘from scratch’ spaghetti sauce using hot peppers from the garden instead of green peppers. It would have been delicious if it had not set our tongues on fire! She has gone on to be a wonderful cook and baker for her family of eight! I love the look of the cake that accompanies this story! Where would that recipe be from? 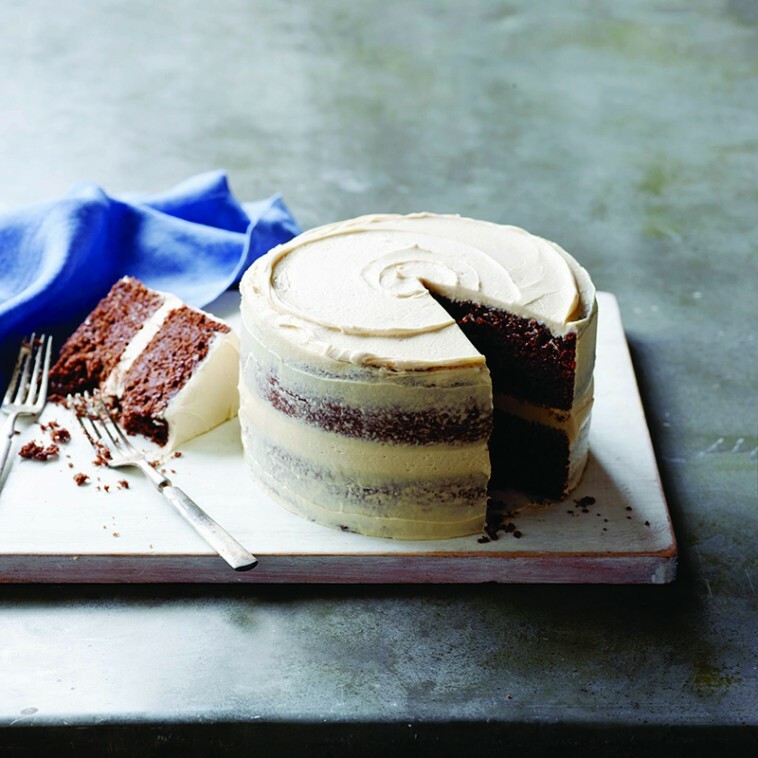 That cake is featured in the Autumn issue of Bake from Scratch – and unlike my baking mishap mentioned by my mom, this cake is AMAZING! It will be on newsstands in the next few weeks, or in the mail if you subscribe! I love cooking mishap stories! When I was in high school and should have know better, my mother asked me to prepare a family favorite jello dessert on Thanksgiving day. To speed up the process, or so I thought, I used hot tap water instead of boiling water to mix up the jello. Needless to say, the gelatin did not dissolve, so the jello didn’t set, and upon removal from the refrigerator 8 hours later, the dessert could be poured from the pan. Lessoned learned; either follow the recipe or know your shortcuts! My daughter entered chocolate chip cookies at the county fair. As she was stirring up the dough, I noticed some egg shell pieces she didn’t remove. She baked them anyway and won a blue ribbon! Phyllis, that is such a cute story and reminded me of the time when I was about 9 or 10 yrs old. I wanted to make the Easter cake that was featured in my Sunday School book so my Dad took me to the store for the ingredients. The recipe called for Cream of Tartar and we walked up and down the aisle where the milk, creamers etc. were found. We were about to give up when a family friend walked in and we explained what we were looking for. She very kindly walked us to the aisle with the spices, showed me the Cream of Tartar and explained what it’s used for. My cake with the fluffy frosting and nest filled with jelly beans turned out great, and I’ll always remember our friend’s kindness and how she saved the day! 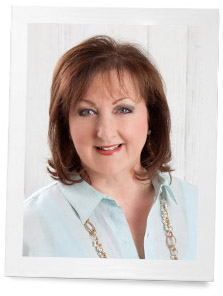 What an absolutely wonderful story……to tell and document in family history! This is just priceless! I really needed that belly laugh. Bless his heart, he was a child, I have done some things like that when I was old enough to know better. My kids and grands love to cook also. Wonderful learning experiences. I have not had any of Brian’s baked good, but I did have his “Spaghetti Bake” when I visited him in Alaska many years ago. He’s a good cook. That is a very cute story, and a fond memory, I’m sure! I once made some brownies that turned out much like a floor tile, and ruined Mom’s pan, too. Oh Phyllis…This is such a cute story! Did you ever imagine where Brian’s culinary prowess back then would have lead to? Every time I see Bake From Scratch now in the stores, I’ll immediately think of Brian and this adorable story! You were a wonderful mother too!!!! That’s our Brian!!! 🙂 Cute story!! Phyllis, what a charming story! One of my girls is our family baker too, and she has a story of a first cake quite a lot like your Brian’s. I will go get her a copy of Bake from Scratch, as I’m sure she will love it.